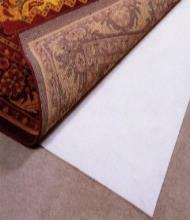 RUG PADDING AND UNDERLAY : Thin rugs are too light and therefore they usually move around when we walk on them. In this situation we can use rug pads or underlay to prevent such movement. 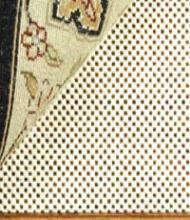 Besides, some rug backs are so ruff that they can damage your timber floor or tiles. 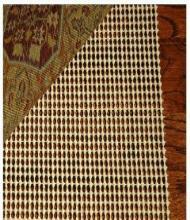 Thus rug pad or grip not only stop the movement but also protects your expensive floor. 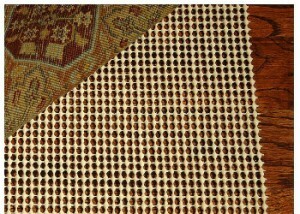 Two different types of rug grip we usually use for rugs. 1. Non Sticky Rug Grip: This kind of rug grip neither stick on the floor nor with the rug (non sticky) and it is suitable for any kind of flooring. It’s very easy to use, just put it under the rug, problem solved. However, there are so many types of rug grip in the market. 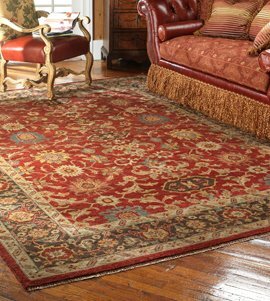 However heavy traffic and extreme heat in the summer time can cause rug grip to be melted. As a result, it can damage your floor as well as the rug. But, we import good quality rug grip mostly from Europe that does not cause those problems. 2. Sticky Rug Grip : Sticky rug grip generally use for carpet, it’s both side is sticky and wrapped by thin plastic . We measure the rug and need to cut the rug grip little bit smaller than rug so that, it is not visible from outside the rug. First, you have to unwrap the plastic and stick it to the floor where you going to put your rug. 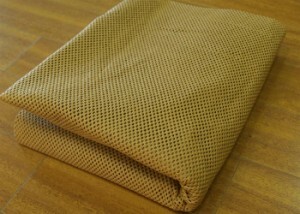 After that unwrap the other side and stick to the rug. 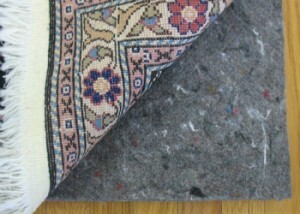 You can actually reuse it for different rugs and good thing is that no glue or gum stick on the floor neither with the rug.